What would a Frozen party be without Olaf? 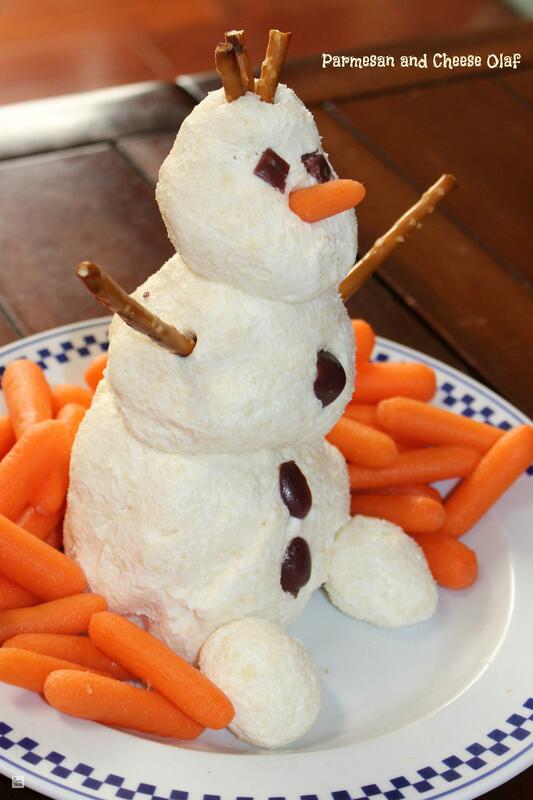 Here’s an idea on how to do a Cheese Olaf as appetizer. I think it turned out really cute, and it was very yummy too! As we used baby carrots to eat it, it was also a healthy treat for both children and parents. 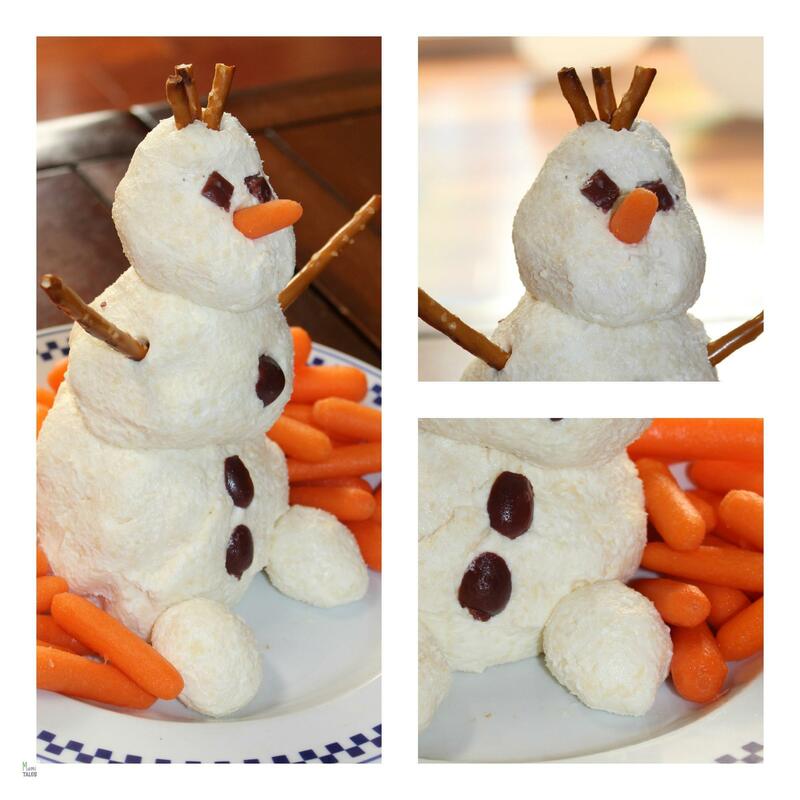 Here’s the recipe and some pictures of my Cheesy Snowman. Do you want to build a snowman... out of cheese? Here's a quick and fun way to do it! Using your hands, combine the cream cheese and Parmesan cheese together in a bowl, until they form a solid dough -- it should not be sticky, its texture should resemble modeling clay. Divide the cheese dough in three different sized balls to form your snowman. Keep two small sized balls to make the feet. Stack the cheese balls on top of each other, then use the wooden skewer to hold all three of them together standing upright. Make sure to cover the tip of the skewer with the cheese. Cut "eyes" and "buttons" out of the olives using a knife, then press them into your cheesy snowman. Stick two long pretzel sticks as arms, and use the other stick to cut in three and stick them on top as hair. Finally, add the feet and the carrot nose. Place in the refrigerator for at least an hour before serving. Surround your snowman with carrots and make sure you try the snowman first, as otherwise no one will dare tamper with your work of art! ADORABLE!!! I’m not waiting for a party to make this! I’ll do this for dinner tomorrow, with a salad too! Ha! Thanks! It very easy to put together, and the combination of the cream cheese and the parmesan is great 🙂 If there”s any left over, you can toss it with some cooked pasta!